Supports all Android versions from 1.5 (cupcake) up. New tempo range! 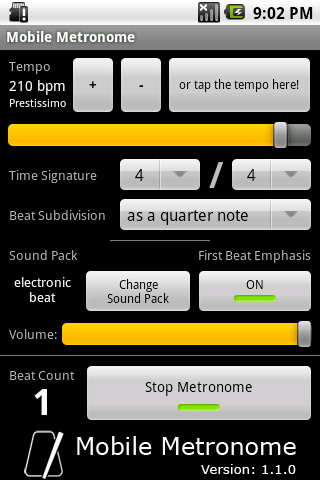 Fine tempo tuning from 10 to 230 BPM!